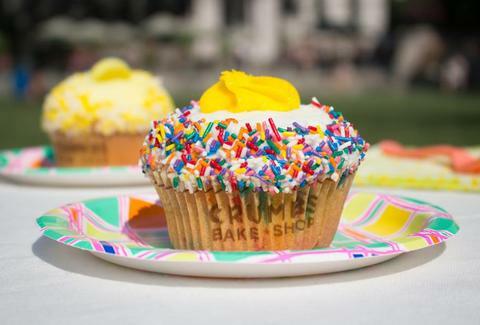 The fancy cupcake community was dealt a crushing blow this Monday when Crumbs, the 10-state chain that pumps out cupcakes bigger than your fist, abruptly announced it was closing all 48 of its stores. The bake shop hadn't been doing so hot for a while -- sales had been dropping off for years, and they'd already closed six stores at the beginning of this year. But its death means something much more significant. Folks, the gourmet cupcake trend is over. Stalwarts like Magnolia are still around (for now), but people have been losing interest in the trend since Carrie Bradshaw and her much cooler friends teetered off into the sunset. And guess what's rising to take their pastry place? Donuts. If you couldn't tell from the glaze-thirsty mobs that turned out for National Donut Day, the treats are having a moment. They're coming in all sorts of exciting varieties like Root Beer Float and Milk Chocolate Sea Salt, and starring in important hybrids like the Wonut. Plus, noted trendsetter Homer Simpson has been endorsing them for years. We're just finally listening. Still, we should all take a moment to mourn the loss of Crumbs. It had some big ideas, but was maybe too big (seriously, 6in-tall cupcakes) for this world. 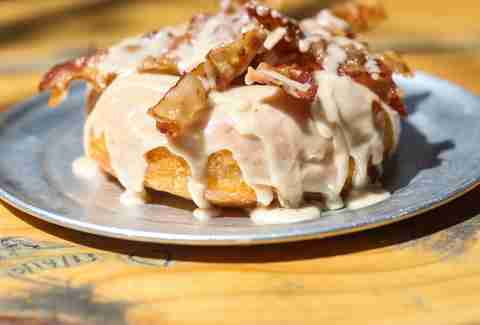 Go drown your sorrows in a nice donut. Kristin Hunt is a food/drink staff writer for Thrillist, and is worried about how her mother will take this news. Follow her at @kristin_hunt.